Size: -- Choose Size -- L, 87cm/34.25" M, 75cm/29.53" XL, 96cm/37.80"
PetAZ Dog Lift Harness was designed to assist dogs with limited mobility to stand up, climb stairs, jump into cars & more. Arthritis, leg pain, back pain or any other orthopedic condition.
? 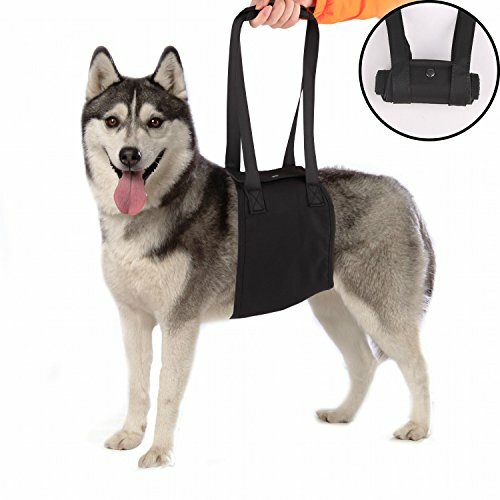 Easy To Use -Includes a Step-By-Step Instruction Manual - with tips on how to introduce the lifting sling to your dog, and how to take care of it later.
? Adjustable Handle Straps - Our lifting harness is suitable for any height. No need to harm your back while assisting your best friend.
? Sturdy, Durable Materials - This dog lifting harness will last for ears. Designed for a family member, we would never compromise for anything but the highest quality.
? Machine Washable - Simply throw the mobility harness in the washing machine, and let it air dry. Do not machine dry. FOR ALL SIZE DOGS: Recommended for dogs with girth measurements of 62.5 cm/24.61". *NOTE: Measuring your dog's body measurements before ordering the sling is recommended in order to avoid ordering the wrong size. Please choose the size according to the chest circumference first, then refer to pet weight suggested. 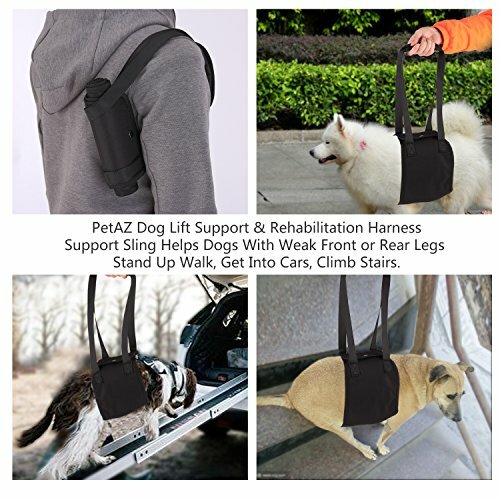 EFFECTIVE WALKING AID: PetAZ Dog Lift Harness was designed to aid dogs with limited mobility support their body weight while standing up, climbing stairs, using car ramps for getting in & out of vehicles and more. Helps pets with arthritis, hip dysplasia, spinal trauma and general fatigue. EASY TO USE: Without bending down. 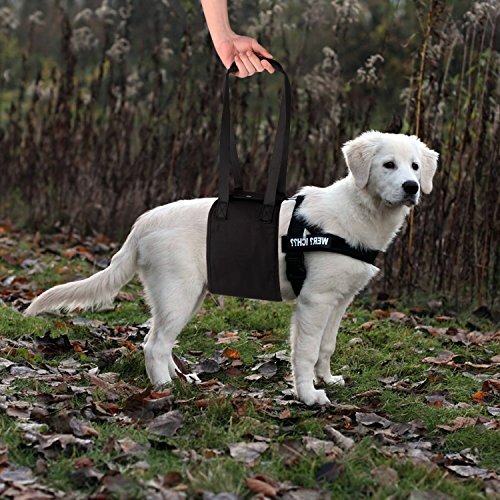 We designed our lifting sling with ADJUSTABLE HANDLES to maximize comfort, so it works great for all dog owners regardless of their height - with our dog slings you can easily give your dog's rear legs a lift and protect your back while doing so. Show him your love and take care of him now. Don't struggle to lift your heavy dog anymore, it hurts him as well as you. SOFT&COMFORTABLE MATERIAL: Fastly to putting the dog support harness on takes only a few seconds. 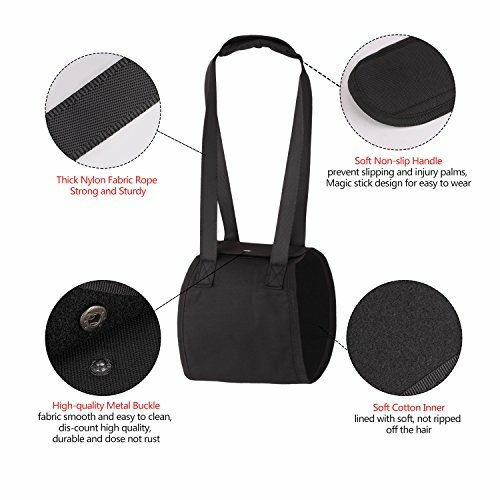 When not in use, our lifting sling rolls up to be very compact, so it is easy to walk around with. Made of 100% Dacron, durable, scratch-Resistant. Easy to clearning. 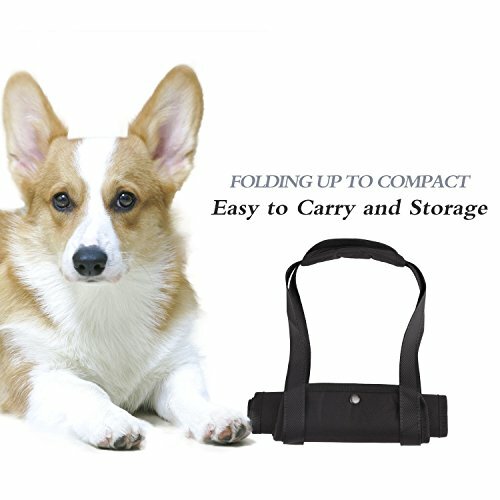 100% GUARANTEE: You will love your new dog sling and find it to be very helpful to your dog. If not, simply let us know and we'll process a deal for your satisfy or with a brand new lift support harness.